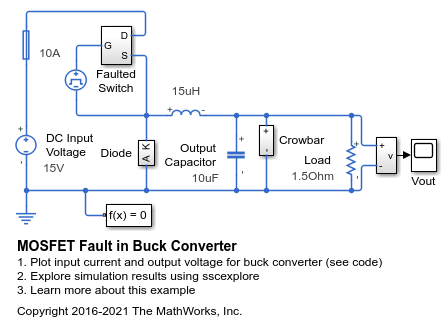 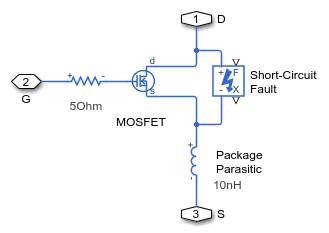 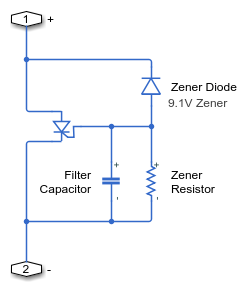 This model shows how a fault may be applied to a MOSFET in a power converter in order to explore the operation of protection circuitry. 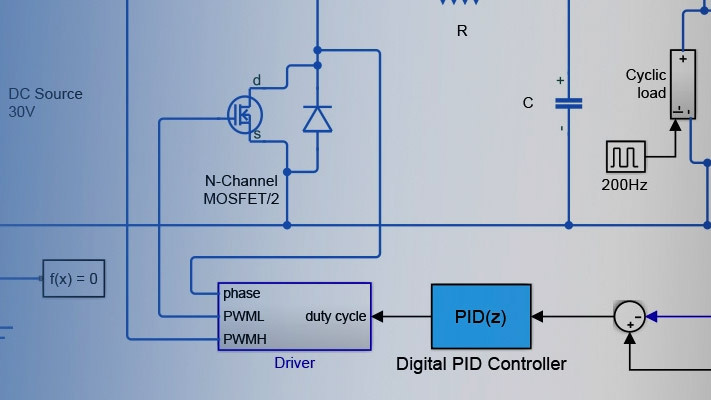 After the MOSFET becomes faulted, the crowbar circuitry is activated in order to clamp the output voltage across the load and eventually to cause the fuse to blow. 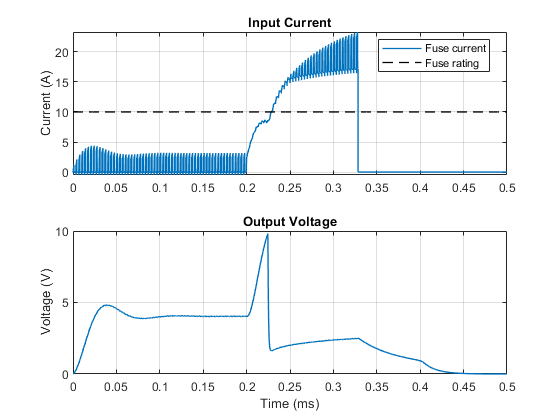 The plot below shows the current passing through the input Fuse and the voltage across the Load resistor.